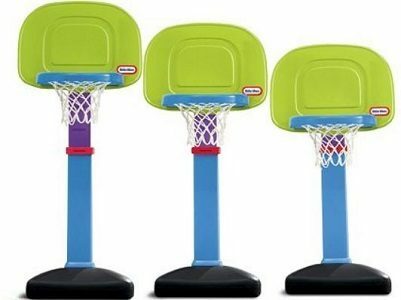 Little Tikes Easy Score Basketball Hoop Set Just $21.24! You are here: Home / Great Deals / Little Tikes Easy Score Basketball Hoop Set Just $21.24! You can get this Little Tikes Easy Score Basketball Hoop Set on sale for only $21.24, down from $49.99. Height can be adjusted between 2 and 4 feet. Oversize rim and automatic ball return make shooting hoops easy for toddlers. Exclusive green and blue design adds a colorful touch to play time. You’ll get free shipping on orders of $50 or more and $15 in Kohl’s cash for every $50 you purchase.